Incumbent NSW Premier Gladys Berejiklian will be able to form a majority government after the key seat of Dubbo was called for the National Party today. ABC election analyst Antony Green said the Dubbo victory delivered the 47th seat to the Berejiklian government giving it a razor-thin one-seat majority in the 93-seat NSW legislative assembly. 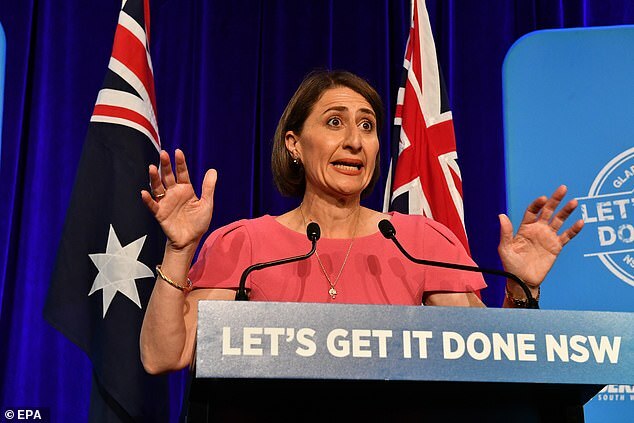 The Berejiklian government rules through a coalition of the Liberal and National parties, and the one-seat majority means it will not need the support of independent cross-benchers in order to pass legislation. Although the results are not official until all the votes are counted, Green told the ABC that first preference tallies combined with available preference flows and scrutineer reports all point to Nationals candidate Dugald Saunders winning the seat of Dubbo by about 1500 votes. The Nationals retained Dubbo, despite a swing of almost 20 per cent against them, with Saunders able to stave off a challenge from independent Mathew Dickerson. Although the Coalition has retained power by a one-seat majority there has been a substantial backlash against it with devastating swings against the National Party in country areas. The bush vote collapsed with the Nationals outright losing some seats and having their margins reduced greatly in others. The Nationals are believed to have now lost the seat of Lismore, with Antony Green calling the rural seat on the state’s north coast for NSW Labor, giving the party 36 seats. The Nationals also lost the seat of Barwon to Shooters, Fishers and Farmers (SFF) candidate Roy Butler with a swing of more than 20 per cent. Reasons for the swing against the Nationals in the bush vary from culture to the drought, however the perceived mishandling of the Murray-Darling basin and the massive fish kills at Menindee are believed to have played a large part.